OTTAWA, ON – Beyond The Pale Brewing has announced the release of a new beer that marks the upcoming flipping of the calendar to 2014. 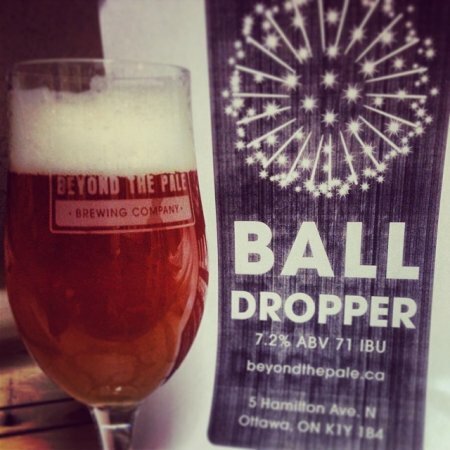 Ball Dropper IPA is a 7.2% abv and 71 IBU ale brewed with El Dorado and Simcoe hops. Ball Dropper will be available in growlers at the Beyond The Pale brewery store over the next two weekends, while supplies last.